By W. Gardner Selby on Wednesday, January 10th, 2018 at 4:25 p.m.
Democratic U.S. Senate hopeful Beto O'Rourke, shown here stumping in Austin Sept. 22, 2017, reversed his position on mandating government service for young Americans (Photo: Jay Janner, Austin American-Statesman). We galloped to fact-check a claim that the Democratic congressman seeking the U.S. Senate seat held by Republican Ted Cruz wants every young American to work a year for the government. But while we were looking into that, the candidate, Beto O’Rourke of El Paso, said that he’d made a mistake in describing the envisioned service as "mandatory." 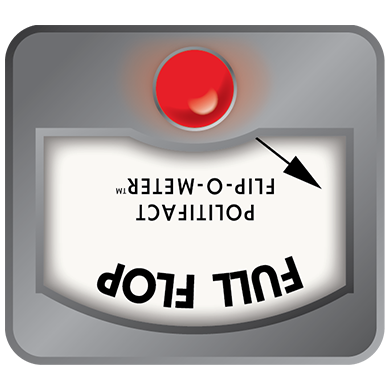 O’Rourke’s declaration led us to shift from solely verifying what he’d originally advocated to rolling out the PolitiFact Texas Flip-O-Meter, which gauges shifts in position. O’Rourke, who’s been making web-casted campaign stops around Texas, piped up in favor of a national service mandate while speaking in Corsicana Jan. 4, 2018. As noted in a Jan. 5, 2018, KSAT-TV news story, O’Rourke specified there that he hopes to introduce legislation this year requiring all young Americans to spend at least a year "in service to this country." Some context: His campaign’s Facebook Live post of O’Rourke’s remarks shows that O’Rourke edged toward airing his interest in mandatory national service after an audience member asked: "How do we meet the challenge of the increasing wealth gap?" "One last idea on this--and I’m trying to find a Republican colleague--and I may have one, and I hope to announce it soon--who will help me to introduce this into the Congress this year. "And that is a national service bill that will require every young person, no matter how wealthy or how poor, to spend at least a year of their lives in service to this country, in a military unit, in a conservation corps unit, in a medical unit, in a teaching unit, in some way that they’re going to help to make this country better and stronger and have to sacrifice together and leave that with a shared understanding of who we are as a people--and no kid is going to be rich enough to buy their way out of it and no kid (interrupted by applause)." O’Rourke had already embraced the idea of expanding national service. A web search led us to learn that in June 2017, O’Rourke was among more than 150 House co-sponsors of the America’s Call To Improve Opportunities Now for National Service Act filed by Rep. John B. Larson, D-Conn.
That legislation doesn’t require any Americans to perform government service. Still, Owen Dodd in Larson’s office emailed us a summary stating the proposal would result in at least a million government-linked "service opportunities" and reward "young people who serve two full terms of service" with four years of their home state’s average in-state tuition. The resulting program, the summary says, would "help the nation address priorities in education, infrastructure, healthcare, disaster relief and poverty." We spotted one other recent instance of O’Rourke speculating about mandatory service. In September 2017, he said in an interview with The Daily Texan, the student newspaper at the University of Texas, that improved college affordability could lead young Texans to return to their home communities after college. "Maybe a next step is a national service program, which gives everyone the opportunity, or maybe compels young people to spend a year or two improving their communities. And in exchange for that, there is the ability again to pursue higher education, or training, or an apprenticeship or certification. And again, it doesn’t have to be a traditional four-year college, and it doesn’t have to be for the 18-year-old. It could be for that 52-year-old who was just laid off from that peanut-packing plant in Plainview, Texas, who needs a little bit of help getting that next job. And if she needs help getting that online course, certification, the credentials that she needs, she is going to be able to do that. I think all of that should be part of the conversation in college affordability or higher education affordability." In Corsicana, then, O’Rourke revealed his plans to offer a mandatory national service measure. But a few days later, O’Rourke said that he’d gone too far in saying that national service should be "mandatory." "That is a word that has concerned a lot of you," O’Rourke said about three minutes into his Jan. 8, 2018 remarks livestreamed on Facebook. "And I’ve got to tell you, you’re right. 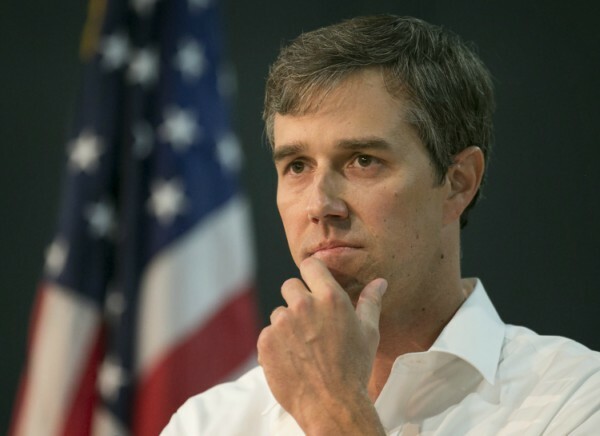 "I think I got way out in front of this without having the necessary conversation," O’Rourke said, "without listening to enough of you about if you were serving as a teacher, if you were serving in the VA, if you were clearing trails in a conservation corps, if you were serving in the military, if you were doing some kind of service that helps to make your country stronger, your community better -- that, that allows us all to have some sense of shared purpose and sacrifice in this country. "You know," O’Rourke went on, "talking about this being a requirement for everybody, that’s a few steps beyond the conversation that we’ve had already. So I want to tell you that I’ve heard you and that I’m listening to you--and I think I made a mistake without having listened to enough people and really had the conversation we need to have about what this would look like, getting so far out ahead on an issue." After watching the video, we inquired into O’Rourke’s up-to-date position on national service. An O’Rourke campaign spokesman, Chris Evans, replied by email: "He does not plan on introducing a bill to require mandatory national service. Texans made their voices heard and he is listening to them." In January 2018, O’Rourke said he soon planned to file a proposal mandating at least a year of national service for all young Americans. A few days later, O’Rourke called his pitch for that mandate a mistake and, we confirmed, dropped plans to file a measure requiring national service. We rate this shift a FULL FLOP. 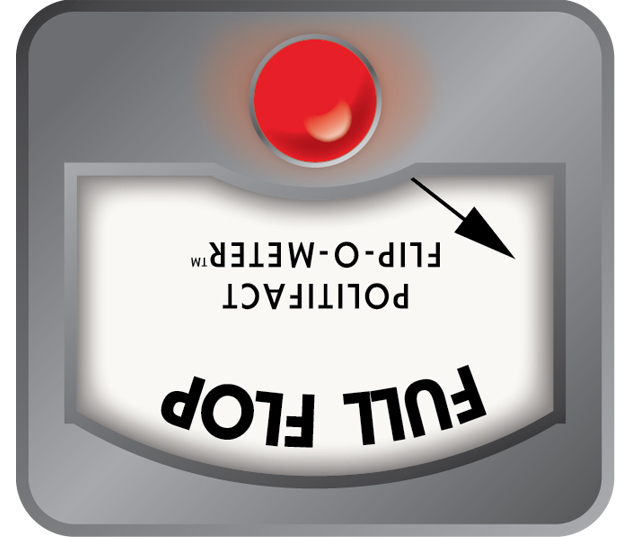 FULL FLOP-- A major reversal of position; a complete flip-flop. Published: Wednesday, January 10th, 2018 at 4:25 p.m.